This is a pretty fun update. 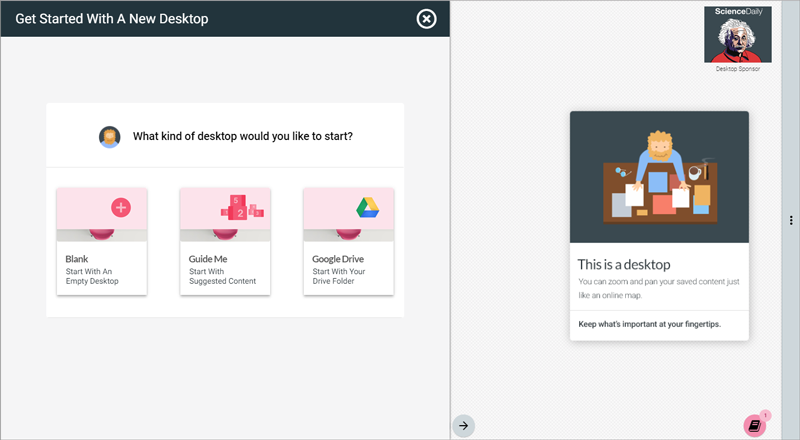 Now you can make a new desktop and use the files in one of your google drive folders to prepopulate that desktop. So any folder you have will automatically be displayed in your middlespot desktop. To do this, tap the new desktop button and select Google Drive. Then give it a title and select a privacy setting (choosing public will make that particular google drive folder public as well). We'll automatically create thumbnails of all your files in this drive folder and lay them out in a grid. You can then rearrange them how best suits you. Also, any sub folders will also be displayed, and when tapped to open, will trigger a new tab and display that folder. Any content you drop onto this new desktop will automatically be placed in that Google Drive folder as well. This folder will not be moved and will exist outside the middlespot folder found in your Google Drive.